(Newser) – Billionaire’s Row is having some major first world problems. According to CNBC, the owner of Apartment 79, a full-floor penthouse that spans more than 6,000 square feet and overlooks Central Park, has defaulted on the nearly $51 million home. 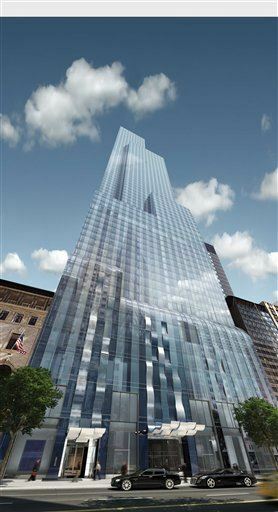 The luxury apartment at One57 tower, located in a part of midtown nicknamed Billionaire’s Row, went into foreclosure and is up for auction in July. “It’s probably the most expensive foreclosure we’ve ever seen in luxury development,” Donna Olshan, president of Olshan Realty Inc., tells Bloomberg. The mystery owner purchased the apartment anonymously in 2014 for $50.9 million, later taking out a $35 million loan in 2015 from Luxembourg bank Banque Havilland that was scheduled to be paid within one year. When the deadline passed, the bank forced a sale. These "homes" usually have other perks like a free US citizenship so that makes the price a little easier for the Saudi that wants it. If I lived to be 1000 years old I would still never understand who some one can spend so much money for a home when there are homeless children in the same city. But then again I guess they didn't pay that much for it as it is in foreclosure.